Saint Patrick came twice into Kildare. The first occasion was about the year 448. 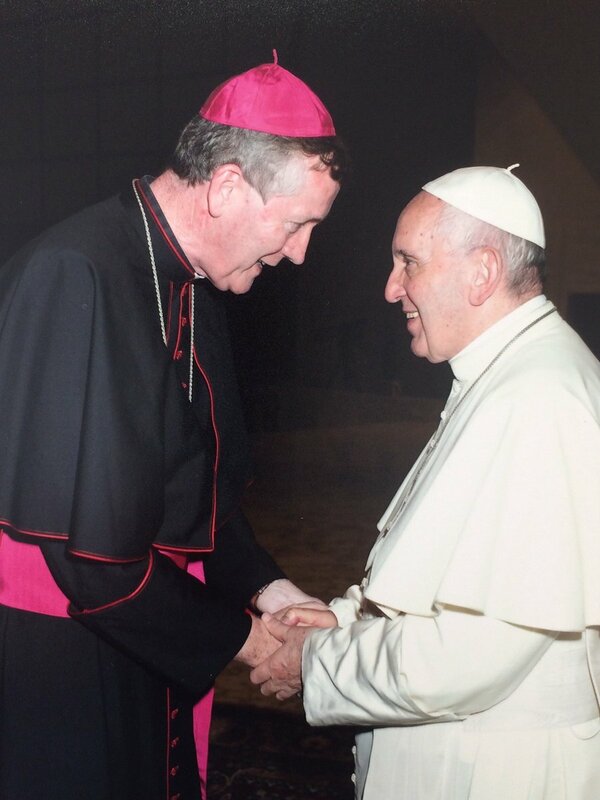 He came south from Meath, passing through Straffan and Clane to Naas. In Naas, he baptised the local Chieftans, Ailill and Illan, sons of Dunling, and Ailill's two daughters, Mogain and Fedelma. The people of the area having converted to the Faith, St. Patrick appointed his nephew, St. Auxilius, as bishop there with his seat at Kilossy, now Kilashee or the Church of Auxilius, a few miles south of Naas. Continuing his journey to the south, St. Patrick also placed St. Iserninus and Mac Tail as bishops at Old Kilcullen, in the present-day Archdiocese of Dublin. 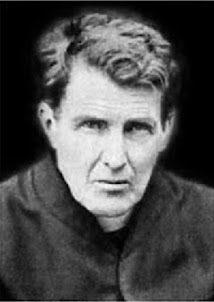 From there he carried on south, founding a Church at Narraghmore and, crossing the River Barrow near Athy, continued his journey as far as Stradbally, in County Laois and the historic Diocese of Leighlin, and then re-crossed the Barrow to the south and west of Rathangan, coming back into the County and Diocese of Kildare, and passing to the North of Newbridge, where a Holy Well is dedicated to him at Barrettstown, he continued to Allen and Kilcock, carrying on north, towards the seat of the High Kings at Tara in Meath. Thus, although St. Auxilius is not the founder of the Diocese of Kildare - that honour goes to Saint Conleth - he must rank as the first Saint of Kildare. "It is related that Auxilius, Iserninus, and others, received holy orders on the same day that St. Patrick was consecrated - and from the same bishop; these persons are spoken of as his companions on the mission of Ireland. Whether they accompanied him from Rome, or whether they were selected in Gaul, is not easily determined." "From this district Saint Patrick went to Kildare, where he laid the foundation of several churches, arranged the boundaries of ecclesiastical jurisdiction, and left the bishop, Auxilius, at Killossy, and the prelate, Iserninus, at Kilcullen. These transactions are supposed to have taken place about the end of the year 443." "At this period, our Saint held two synods, in which salutary laws relating to morals and discipline were enacted. The first of these synods is entitled 'The Synod of St. Patrick;' the second bears the title of the Synod of Bishops, of Patrick, Auxilius, and Iserninus." "In the 24th and 27th canons of the Synod, called that of St. Patrick, Auxilius, and Iserninus, it is ordered that no stranger do baptize, or offer the holy mysteries without the permission of the bishop." 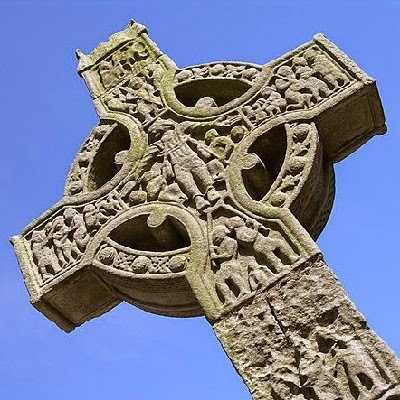 "Killossy, called after St. Auxilius, a nephew of St. Patrick, and son of Restitutus, the Lombard, was bishop here, and assisted St. Patrick in compiling the ordinances by which the Irish church was to be guided. 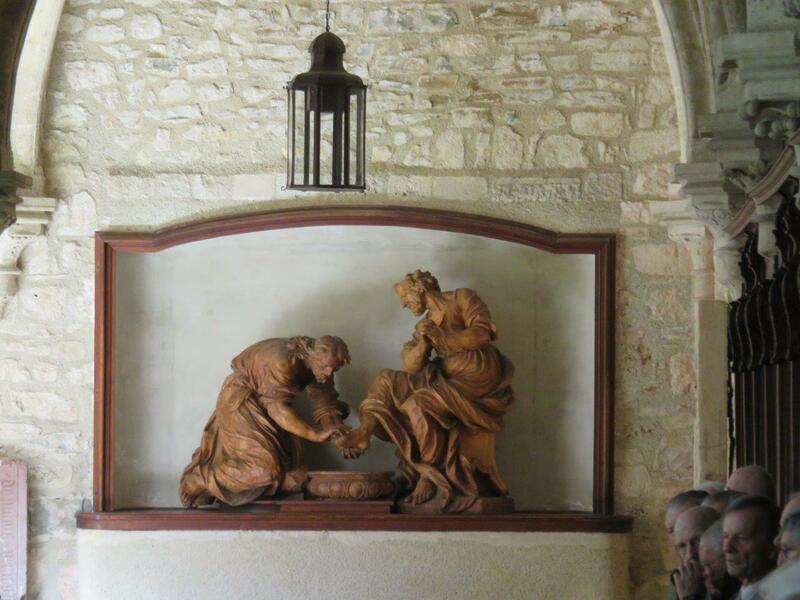 St. Auxilius died on the 27th of August, 455." "S. Usaille Espucc a Chill Usaille hi Life xxvii August. Aois Chiost, ceithre céd caocca asé. A hocht fichet do Laoghaire Enda, mac Cathbhadha, décc." 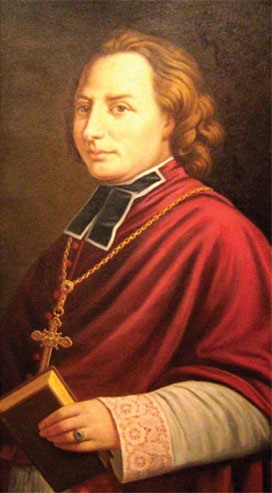 "St. Usaille, Bishop of Cill Usaille, in Liffe, on the twenty-seventh of August. The Age of Christ, 456. The twenty-eight year of Laoghaire. Enda, son of Cathbhadh, died." To put this into context, at the time that St. Auxilius died at Kilashee, about the year 450, both St. Conleth and St. Brigid were born, St. Patrick would live about another ten years, St. Peter Chrysologus had just died (31st July, 450), Laoghaire II Mac Néill (d. 462) was still High King of Ireland, Valentinian III was Emperor in Constantinople (r. 425-454), and St. Leo the Great was Pope (r. 440-461).